Welcome to Coma Hostel! We are owned by Blanco, the party people of the island. We have 12, 8 and 6 bed dorms to choose from. We are located on the main road, just a 5 minute walk from the pier and the bars; far enough away so that you can get a good nights sleep without the sound of techno music vibrating your bed. It's the best way to party and also sleep. If you want the party right at your door step then book your stay at Blanco Beach Bar! If you want something in the middle, try Blanco City Hostel. There is a small common area at Coma and amazing restaurants next door to chill. Both Blanco Hostels are not far away where you get a discount at both bars. Police and hospitals are also very close by. Coma has keycard access and lockers for everyone, also CCTV and night time security guard so its very safe. Reception is open from 8am until 6.30pm. We also offer you the chance to book the Blanco Boat Party, which runs every day, at check in! The only Boat Party on Koh Phi Phi. It's the best way to see Maya Bay and surrounding islands in style. Our cold AC runs 24 hours a day for your comfort! Other amenities include; full privacy curtains around all beds to insure complete seclusion when sleeping, 24 hour security camera surveillance and security guad at night time including keycard entry to insure your safety. We also have hot showers and free towel for your stay. Coma 2 is now part of Detox Hostel so if you want to stay in a 12 bed POD style dorm, a 4 bed dorm, or a private room look for Detox Hostel on Hostelworld. 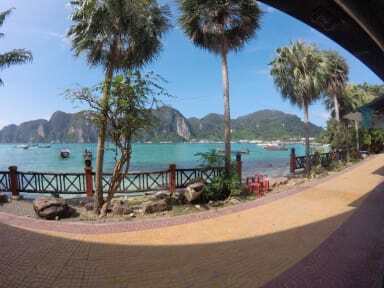 Please not from the 8th of November 2018 our Reception will be moving from Coma 2 to Coma 1 which is located on the coast overlooking the beautiful island of Phi Phi Leh. Please choose rooms correctly when booking and check photos for more info. 12 bed dorms have access to the toilets and other rooms also. 2. Check in from 13:00 to 18:30. 6. Reception working hours 08:00-18:30. I looked at some of the other reviews after I arrived to the hostel. I don't know what the hell some of these people are expecting when coming to Phi Phi. This is not a western city, its a freakin' small tropical island! The hostel was small and cozy. The beds were big and comfortable with private curtains. AC was cold all day. The two owners were the COOLEST couple I have had the pleasure of meeting on my 2 month stay in Thailand. My experience was great! Stay here if possible, trust me! I been here 2 nights and I can really recommend it. The couple from the staff is very nice and they help you everything that they can. The hostel is very clean as well. It's everything you need to pass great time in Phi Phi. It's an phiphi island hostel.. Don't expect anything special..